Ladbrokes Bingo Review | Get Your £40 FREE Play Bonus Here! 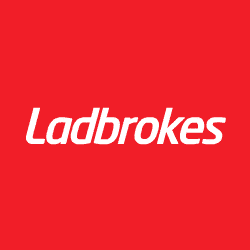 Ladbrokes is of course originally known for being a bookmakers and there are hundreds of their shops around the UK, but they have put all of their years in the gambling industry to fantastic use and have brought you Ladbrokes Bingo. As you would expect when you launch the site you will be greeted with the familiar logo as well as a professional and sleek site that will bring you some of the best bingo offers around. Ladbrokes Bingo has a generous welcome offer waiting for new players. All you need to do is deposit and spend your first £10, and you will then get a £40 bingo bonus credited to your account. You also gain access to their exclusive Guest Room which is only for new players, and you are eligible to play in it for 7 days. Play Bonus Back Bingo and get your tickets back if you don’t win. Enjoy Super Free Bingo where you can get free tickets. Become Roomie Of The Week and get free bingo cards. Play community Treasure and win a share of £500. There’s £80k to win every month in the Monthly Specials. There isn’t too much in the way of promo codes on the Ladbrokes Bingo site, but there are more than enough offers to make up for it. There is a mobile app for Ladbrokes Bingo which can be downloaded super quickly. Alternatively, all you need to do is open your browser from your mobile or tablet device and enter www.ladbrokesbingo.com – and you will be taken straight to a mobile-friendly version of the website. Once you do this, you can sign in or log in using your current details if you are already a player, or if you are brand new to the site you can join by filling in one of their simple registration forms. One of the main attributes of Ladbrokes Bingo is that it is packed with games. When it comes to bingo, the standard 90 ball bingo and 75 ball bingo variations are of course available, but there is more where that comes from. There are the 80 ball bingo games as well as some special treats such as Lucky Numbers Bingo, Deal or No Deal Bingo, Who Wants to Be a Millionaire and Joker Jackpot. It looks as if there is an endless list of slot games when you first see it, and it pretty much is. You can have a cheeky spin on the likes of Clover Rollover, Rainbow Riches, Big Top Tombola, Leprechauns Luck, Ladies Night as well as lots of others. Scratch cards such as Deal or No Deal Quick Scratch, Ghosts of Christmas, Treasure Time Traveller – and casino games too. £40 free new player welcome bonus. Play bargain bingo games for big jackpots. A wide selection of bingo, casino and slots games. They have a superb downloadable mobile app. You can deposit using PayPal. At Ladbrokes Bingo you can deposit using: Visa Electron, Visa, MasterCard, Neteller, PayPal, Skrill, Bank Transfer, Paysafecard, Maestro, Sofort, Giropay, Entropay and others. Telephone number: 0800 032 1133. There isn’t much to complain about at Ladbrokes Bingo, although their terms and conditions can be difficult to get to, they have more than enough in bonuses, promotions and games to make up for it. They bring great credibility to the table, use industry leading Virtue Fusion software and have more great games that you could ever manage to play.